Addressing homelessness and its impacts on our neighborhoods has become the primary issue that I deal with on a day-to-day basis. In order to streamline efforts and ensure resources are directed accordingly, I reorganized my staff around my Neighborhoods FIRST (Fully Integrated Resources and Support Team) initiative. As of this month, Neighborhoods FIRST completes its first full year and I wanted to share an update around our progress. This Neighborhoods FIRST anniversary edition of my newsletter will primarily focus on the efforts and initiatives taking place in Council District 12. However, there is also a lot of activity happening citywide which affects our district and is helpful in understanding the wider picture of homelessness in Los Angeles. For a useful primer on the city and countywide efforts, check out this recent article from Los Angeles Magazine. It is also important to remember as we address the statistics and numbers behind homelessness, that each of these numbers represents actual people's lives. Those experiencing homelessness are our neighbors, children, and siblings. This crisis is a humanitarian crisis first and the greatest moral challenge of our time. In the first year of Neighborhoods FIRST, Council District 12 saw a significant 19% drop in the number of homeless individuals living on our streets. These are numbers from the Los Angeles Housing Services Authority based on their 2018 Greater Los Angeles Homeless Count. And while there is still a lot of work to do, Neighborhoods FIRST is reducing the total number of homeless individuals living on our streets and lessening the negative impact on our communities. What follows is a detailed review of the program and its components. Much of the success of Neighborhoods FIRST is a result of redirecting resources and coordinating service teams from distinct City of Los Angeles departments to streamline efforts and augment their impact. For this task, I promoted veteran staffer Colin Crews who drew on his experience as a Senior Field Deputy in my office for his new role as the CD12 Neighborhoods FIRST Director. The primary City services requiring coordination are the LAPD Homeless Outreach and Proactive Engagement (HOPE) Teams, Bureau of Sanitation Rapid Response, and the Department of Transportation Parking Enforcement. Typically, the LAPD HOPE Teams that rotate between Council Districts only have access to the sanitation component about every ten days, and are not coordinated with Parking Enforcement for issues related to RVs and vehicle dwelling. In CD12 these teams work together as a unit. This allows the teams to, if necessary, visit encampments multiple times within one week. We've found that this frequent intervention yields the best results. My Neighborhoods FIRST Director sets a schedule for these teams so that they tackle the most problematic hot spots on a regular basis. This approach not only helps keep the streets clean, but builds relationships and trust between the LAPD HOPE officers and the homeless individuals to whom they offer shelter services. Building a rapport with these individuals, who may be service resistant, has proven to be the most effective legal means to get individuals into the Coordinated Entry System (CES) for housing. Additionally, this persistent approach of regular contact and code enforcement prevents encampments from becoming entrenched to the point where they negatively impact the quality of life in our neighborhoods. Since being put into practice, this new coordinated effort has resulted in a five-fold increase in the number of monthly contacts LAPD HOPE officers make with individuals experiencing homelessness. And while not every contact results in a person moving off the street, HOPE officers report that some of the most service-resistant individuals experiencing homelessness have accepted outreach services only after regular, repeated contacts. Council District 12 also faces a unique challenge when it comes to unsheltered individuals living out of unsafe and non-functioning RVs. Prior to the creation of Neighborhoods FIRST, the LA City Council voted to allow overnight sleeping in vehicles in commercially zoned areas only -- a law known as Los Angeles Municipal Code (LAMC) 85.02 which I voted against. With the CD12 Chatsworth-Northridge Industrial corridor being the largest such zone in the City, the result was a massive influx of individuals living in unsanitary, unsafe conditions and impacting CD12 in disproportionate numbers relative to the City as a whole. In addition to sanitation and safety concerns, this resulted in a disruption to many local businesses that found much of the available street parking that would normally be used by customers being taken up by vehicles and RVs being used for habitation. 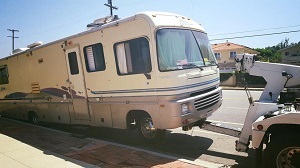 LAMC 85.02 also created the additional problem of slum lords buying up disabled RVs, towing them to a location where vehicle dwelling is permitted and renting these vehicles to those in need of shelter. While vehicle dwelling might seem like an appealing alternative, in practice it has proven very problematic. Disabled vehicles have no means to dispose of waste and can quickly become an environmental hazard. What's more, there have been instances in which a vehicle has caught fire and -- due to the lack of ingress and egress options -- resulted in the death of persons living inside the vehicle. In response, we devoted additional enforcement resources towards ensuring that vehicles using the public right of way are safe and operational. In cases where they were unsafe or otherwise non-compliant with posted signage, we ensured that these vehicles were removed from our streets. This required additional coordination with LADOT's parking enforcement division as well as finding new space for vehicle storage by working with Official Police Garages (OPG) and the Los Angeles Department of Water & Power (LADWP). The result is fewer dangerous vehicles occupying the public right of way with regular enforcement to ensure that businesses and quality of life within and beyond the industrial corridor are not disrupted. Our efforts with various City Departments is complemented by a rapid response service operating directly out of my Neighborhoods FIRST headquarters at the Council District 12 Community Service Center. Unlike the Bureau of Sanitation, Parking Enforcement, and LAPD HOPE officers, the two member team is comprised of staff employed by my office. The team represents a proactive effort to quickly remove blight and hazards from our streets before they are allowed to linger and negatively impact our neighborhoods. On any given day, you can spot our Rapid Response team patrolling the district in a yellow pick up truck and removing bulky items, downed vegetation blocking the street, and illegal dumping. They also comb our neighborhoods while identifying and reporting service needs that require specialized equipment or safety gear to address. Because of their efforts, we're able to provide much more efficient and precise customer service that then frees up resources for other city service providers to perform larger, more difficult tasks. While nearly 90% of Rapid Response pickups have resulted from a dumped item being identified while on patrol, our team also responds to service requests made to our office. To report a Rapid Response service request, call the Community Service Center (818) 882-1212 or email Councilmember.Englander@lacity.org. An essential partner in many of our efforts has been the San Fernando Valley Rescue Mission. After the Rescue Mission's donation center in Studio City was destroyed during a fire, I joined the community to raise awareness and donations and helped open a beautiful new 90-bed facility in Northridge. 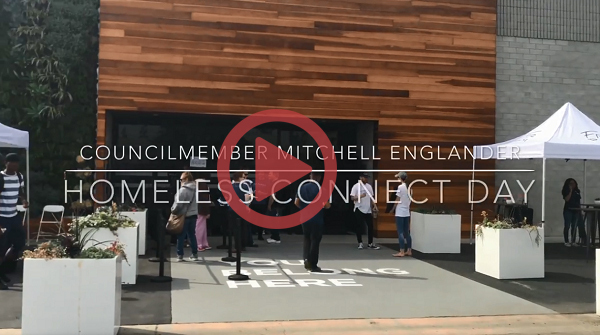 In the time since, they've not only helped serve thousands of individuals and families experiencing homelessness, they have set a new bar for shelters as a good neighbor and welcomed member of a community. The Rescue Mission and my office have developed multiple points of partnership without spending public tax dollars. Nevertheless, this partnership has resulted in tremendous public good. Last year, my office successfully completed our Mobile Mission campaign to raise funds for the Mission’s Rescue SOS (Survival Outreach Services) Program. The Rescue SOS Team is dedicated to helping individuals and families to meet life-essential needs. They serve as a link to social services in the community, including emergency shelter at the Rescue Mission, residential substance abuse recovery, transitional housing programs, and most importantly, hope. 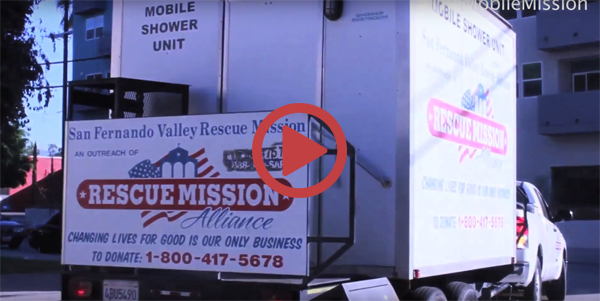 Throughout the week, the Rescue SOS truck travels around the San Fernando Valley and is equipped with a mobile unit that provides hot showers while nutritious food, clothing, and hygiene items are distributed. Previously, the truck could only reach 20% of the homeless community in the San Fernando Valley. Thanks to the tremendous support of our community, we exceeded our original goal of $17,000 and raised over $26,000 towards a brand new mobile shower unit for their team. Rescue SOS helps bring resources and dignity to those in need of a clean start by providing a new truck and mobile shower unit, ultimately doubling the Rescue SOS program resources and allowing the team to bring even more services to thousands of men, women, and children each week. Supporting the Rescue Mission is truly a community effort. Last year, I helped launch 250LA by hosting local businesses and community leaders at the San Fernando Valley Rescue Mission as a call to action to support and house an additional 250 unsheltered children and their families. By coming together and involving local, small business and leaders in this effort, we built a network of community support to address the challenges through creative, coordinated action. By matching local leaders with the Rescue Mission we are able to make a significant, ongoing impact for the families and children in need throughout our community. 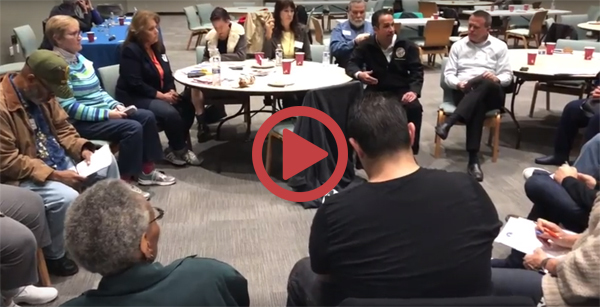 If you are interested in learning more about the 250LA project or the Rescue Mission, click on the video above to visit their website. My office continues our partnership with the San Fernando Valley Rescue Mission by hosting a “Donuts and Donations” event quarterly throughout Council District 12. As an institution that does not receive public money, the Mission counts on residents and local organizations to bring gently used clothing and household items to be sold in the Rescue Mission’s thrift stores. Enjoying donuts and coffee with the Council District 12 staff, The Rescue Mission team, and our community is an added bonus and promotes community involvement, allowing residents to become involved and learn more about programming, resources, and ongoing needs. An average of $15,000 is raised to support these efforts each time the truck is filled. While we may not refer to faith leaders and the institutions they represent as "first responders," when it comes to addressing homelessness, they are exactly that. Churches, mosques, temples, and synagogues are often the first place someone turns to when they are struggling. The struggle could involve an addiction, a domestic crisis, loss of employment -- but any of these can result in the loss of a home. Clergy are essential to providing support services for these individuals and their partnership is invaluable. That is why earlier this year, I convened a faith leaders summit on homelessness to build coordination between my office and religious institutions and to build points of connection between the various religious organizations. During the event we asked members of assembled groups to share what their faith teaches about how we approach an issue like homelessness. Their answers were a resounding voice of compassion, offering dignity for others. At the summit, we were able to develop an inventory of all the current programmatic resources and programs of the attendees related to homeless individuals. Participants also shared their wish list for new programming and solutions that could benefit the community at large. 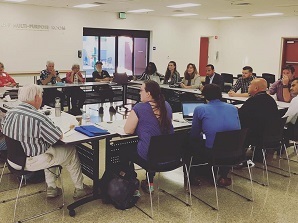 Working groups made up of different faith institutions also developed strategies to collaborate and complement each other's work with facilities, resources, volunteer power, and services for those experiencing homelessness. One of the most exciting moments of this event was when two neighboring churches discovered that while one had an overflowing food pantry from donations, the other was struggling from a shortage of food from their free lunch offerings for those in need. That is just one example of how the process of building partnerships creates new connections throughout our community. Key partners in my office's Neighborhoods FIRST effort are the 10 neighborhood council bodies that make up our district. These boards are deeply familiar with how homelessness impacts our neighborhoods and very helpful in gauging the community's needs as they address this issue. Through both my staff's attendance at all Neighborhood Council meetings as well as my Conversations with Councils series where I convene all Neighborhood Councils for a group discussion, I get to hear the various viewpoints on how the issue of homelessness is affecting each neighborhood and whether there is improvement or a need for additional resources. Neighborhood Councils are also critical as part of the working groups I'm forming to help determine the types of additional services that may be needed and where they should be located. My office was able to draw on the partnerships described above to put on a very successful Homeless Connect Day event. Homeless Connect Days are pop-up style events organized by LA Family Housing. For one day dozens of disparate service providers can set up shop at a single location in order to help those experiencing homelessness. Many of the partners that my office has engaged were present at this event to offer their services and do outreach and intake with attendees. It was a heartening example of what can be achieved when our community comes together to tackle difficult issues. As we combine the work of our office and partnerships with non-city entities, my office has also piloted new programs that work to change the lives of those currently living on our streets. Being homeless often leads individuals to a cycle of hopelessness and despair. These programs are designed to help individuals change the narrative around their own lives and build from a foundation of confidence. The premier pilot program to come out of CD12 is the Clean Streets Clean Starts program. This effort began through a neighborhood beautification grant my office won to combine neighborhood clean-ups with job training and addiction counseling. 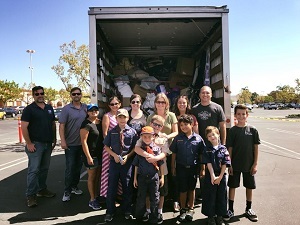 The grant and partners included Northridge South Neighborhood Council, neighborhood non-profit Northridge Sparkle, and the San Fernando Valley Rescue Mission. The Clean Streets Clean Starts Program recruited participants through the San Fernando Valley Rescue Mission's Mobile Shower unit. The initial pilot consisted of 14 individuals. 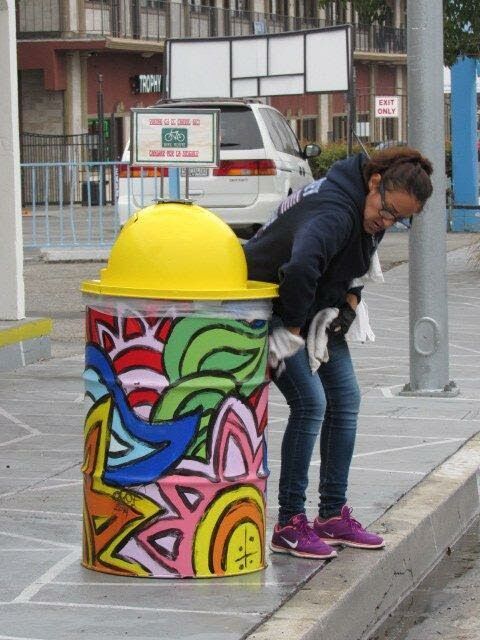 The curriculum started out with basic activities like trash collection and sweeping and worked its way up to tree planting, landscaping, and coordination with City work crews doing Great Streets projects. Over an eight week period, participants completed 16 community cleanups and 16 mentoring sessions where they worked to develop job skills and clear personal impediments to housing and full-time employment. In exchange for their efforts, they were paid with supermarket gift cards with which they could purchase necessities. The San Fernando Rescue Mission also worked tirelessly to obtain housing and employment for participants. Ten of the fourteen participants completed the program. Of those, ten individuals received job offers, nine received housing, and five achieved sobriety. The program itself was awarded the "Game Changer" award by Mayor Eric Garcetti and the Los Angeles Board of Public Works. 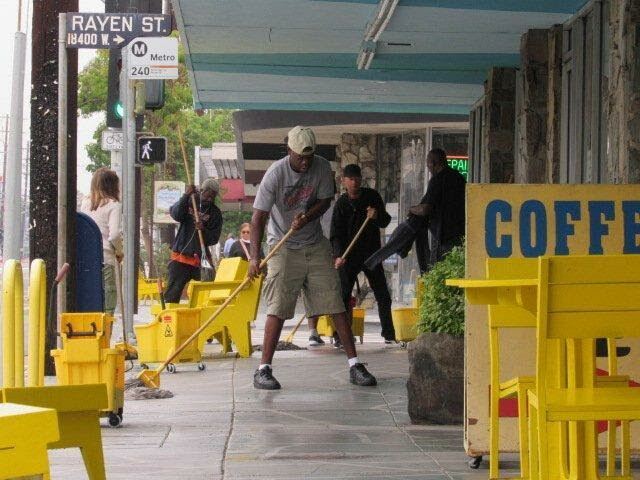 Since this initial pilot, Clean Streets Clean Starts has become its own entity operated by the Northridge Beautification Foundation in partnership with multiple Neighborhood Councils. The program has highlighted the contributions that those who are experiencing homelessness can bring to a community if given the opportunity. The Making Movies that Matter Youth Film Festival is a program that predates Neighborhoods FIRST. This year was the 3rd installment that brings together young artists from elementary, middle, and high schools to participate in writing, developing, directing, and editing their own films on issue of importance. 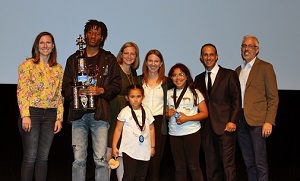 Making Movies that Matter has grown into the largest youth film festival in California. Over 1000 students are provided with top of the line equipment to develop their own creative voice. 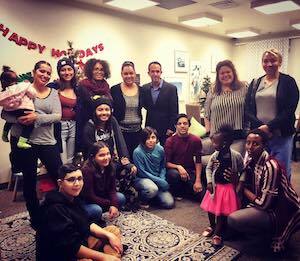 This year however, we partnered with the San Fernando Valley Rescue Mission to ensure that homeless youth were also given the opportunity to participate in the program. It's programs like this that give young people the confidence and drive to overcome the difficulties and hardships they may face and build a brighter future for themselves and the community of which they are a part. Neighborhoods FIRST is constantly evolving as new programs, funding sources, and services come online. Homelessness as an issue continues to shift. As the population and demographics of those experiencing homelessness continues to change, so must we. With new housing coming online and an increased focus on homelessness citywide, we are seeing a change in which the greatest difficulties lie not with placing families and children in services, but with the chronically homeless because of addiction or mental health issues. Unfortunately, the current addiction treatment and mental health services networks are plagued with bad actors which vastly complicates connecting these individuals with the services they need. As a City Councilmember, legislative options for improving these state and county run services are limited, so I've been working with local app developers to create a smart phone app that could help first responders identify reputable treatment services in their vicinity. By creating a reliable quality control network that is not dependent on the pay-to-play advertisement that dominates most search engines, we'll be able to connect individuals with services that actually benefit them rather than seek to profit off of their illnesses and addictions. If you're interested in learning more about this app, you can visit the developers website and look at and download the initial versions of the technology, here. 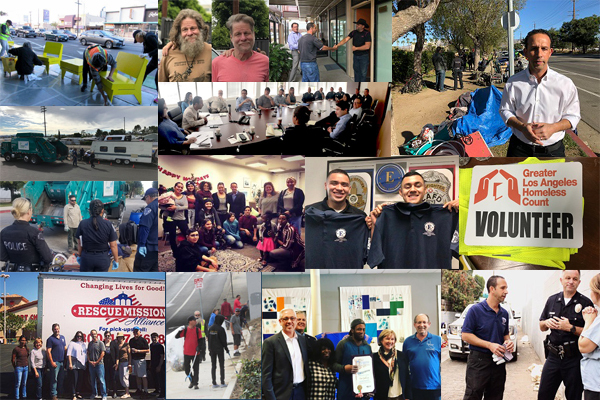 While my office will continue to work diligently and persistently to resolve the homelessness crisis, there are many potential ways you can get involved to assist our efforts. This is an ongoing campaign and anything you can do will not only benefit individuals and families but improve our community as a whole. To learn more and to view a list of their drop off locations, visit www.operationblanketsoflove.org. Goodwill Industries is a local partner that offers employment to individuals that have completed the Clean Streets Clean Starts program. To find your local donation center and store, visit www.goodwillsocal.org. Homelessness is one of the most complex and challenging issues our City has ever faced. Neighborhoods FIRST provides a blueprint for addressing this challenge in a comprehensive and sustained way. We are always open to new ideas and to partnerships with the community and with organizations within the City.